How can I use Google Sites with my domain? Recently, Google has released a NEW version of Google Sites (it can be accessed through https://sites.google.com/new) and added a possibility to use a custom domain with it. 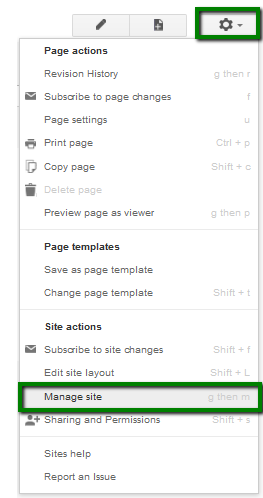 This article takes through the steps for connect the "Classic Google Sites" to a domain registered with us. But it will be similar with the New Google sites. 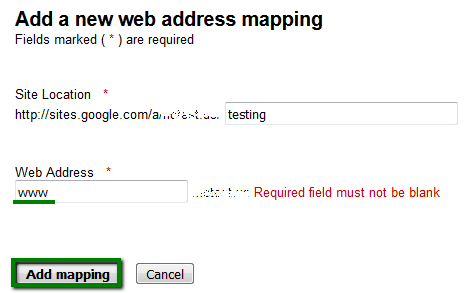 Classic Google Sites (https://sites.google.com) provide you an ability to map your domain pointed to our DNS with your Google Site, so that your domain (e.g. "www.example.com") will be shown in the browser's bar instead of a default Google Sites webpage - https://sites.google.com/site. Note: You can map your custom domain to Google Sites only if you have a paid G Suite subscription. If you would like to use your domain with free Google Sites version, you may set up the connection via URL redirects (URL forwarding). Note: In case you are using hosting or other third-party nameservers, the settings need to be done on the side of your hosting/DNS provider. This record will only map your subdomain to the site. please create a URL redirect record to redirect the "@" Host Name to your domain already set up subdomain - as an example, @ host name redirected to https://www.example.com (Address). The changes should be accepted in under an hour. Note: Make sure there are no conflicting host records that use the same host name, going to different places. Next, login to your G Suite account to configure the site's settings there. If you receive any error after that (Error 405, for example), don't worry, the domain name will be still mappedsuccessfully. Just give it more time for the changes to be accepted globally.